"Most people with learning disabilities live in a world where decisions that affect them are made by non-learning disabled people. We believe people with learning disabilities are the experts on the changes they need to lead a good quality of life and to get equal access to employment, healthcare, housing, community involvement and information they can understand. CHANGE is built on this belief. The majority of our Board of Trustees are Disabled People, including people with learning disabilities." yOrganic farming with gene editing: An oxymoron or a tool for sustainable agriculture? Now, sides are being chosen about whether the new gene editing technology, CRISPR, is really just GMO 2.0 or a helpful new tool to speed up the plant breeding process. In July, the European Unions Court of Justice ruled that crops made with CRISPR will be classified as genetically engineered. In the United States, meanwhile, the regulatory system is drawing distinctions between genetic engineering and specific uses of genome editing. I am a plant molecular biologist and appreciate the awesome potential of both CRISPR and genetic engineering technologies. 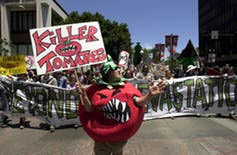 But I dont believe that pits me against the goals of organic agriculture. In fact, biotechnology can help meet these goals. And while rehashing the arguments about genetic engineering seems counterproductive, genome editing may draw both sides to the table for a healthy conversation. To understand why, its worth digging into the differences between genome editing with CRISPR and genetic engineering. Whats the difference between genetic engineering, CRISPR and mutation breeding? Opponents argue that CRISPR is a sneaky way to trick the public into eating genetically engineered foods. It is tempting to toss CRISPR and genetic engineering into the same bucket. But even genetic engineering and CRISPR are too broad to convey what is happening on the genetic level, so lets look closer. In one type of genetic engineering, a gene from an unrelated organism can be introduced into a plants genome. For example, much of the eggplant grown in Bangladesh incorporates a gene from a common bacterium. This gene makes a protein called Bt that is harmful to insects. By putting that gene inside the eggplants DNA, the plant itself becomes lethal to eggplant-eating insects and decreases the need for insecticides. Bt is safe for humans. Its like how chocolate makes dogs sick, but doesnt affect us. Another type of genetic engineering can move a gene from one variety of a plant species into another variety of that same species. For example, researchers identified a gene in wild apple trees that makes them resistant to fire blight.They moved that gene into the Gala Galaxy apple to make it resistant to disease. However, this new apple variety has not been commercialized. Just like using the find function in a word processor to quickly jump to a word or phrase, the CRISPR molecular machinery finds a specific spot in the genome. It cuts both strands of DNA at that location. Because cut DNA is problematic for the cell, it quickly deploys a repair team to mend the break. There are two pathways for repairing the DNA. In one, which I call CRISPR for modification, a new gene can be inserted to link the cut ends together, like pasting a new sentence into a word processor. In CRISPR for mutation, the cells repair team tries to glue the cut DNA strands back together again. 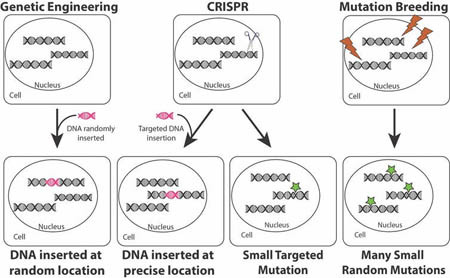 Scientists can direct this repair team to change a few DNA units, or base pairs (As, Ts, Cs and Gs), at the site that was cut, creating a small DNA change called a mutation. This technique can be used to tweak the genes behavior inside the plant. It can also be used to silence genes inside the plant that, for example, are detrimental to plant survival, like a gene that increases susceptibility to fungal infections. Mutation breeding, which in my opinion is also a type of biotechnology, is already used in organic food production. 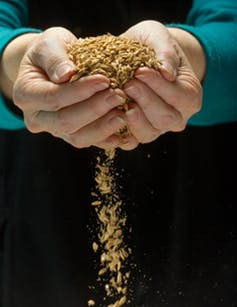 In mutation breeding, radiation or chemicals are used to randomly make mutations in the DNA of hundreds or thousands of seeds which are then grown in the field. Breeders scan fields for plants with a desired trait such as disease resistance or increased yield. Thousands of new crop varieties have been created and commercialized through this process, including everything from varieties of quinoa to varieties of grapefruit. 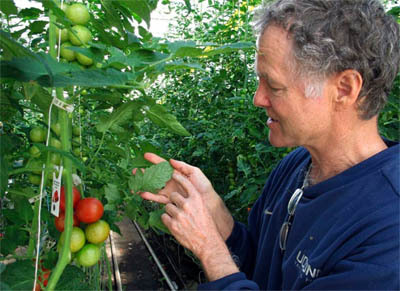 Mutation breeding is considered a traditional breeding technique, and thus is not an excluded method for organic farming in the United States. For example, my adviser at UC Berkeley developed, with colleagues, a hypoallergenic variety of wheat. Seeds for this wheat are held captive in envelopes in the basement of our building, untouched for years. A tomato that uses a sweet pepper gene to defend against a bacterial disease, eliminating the need for copper-based pesticide application, has struggled to secure funding to move forward. Carrot, cassava, lettuce, potato and more have been engineered for increased nutritional value. These varieties demonstrate the creativity and expertise of researchers in bringing beneficial new traits to life. Why, then, cant I buy bread made with hypoallergenic wheat at the grocery store? Research and development of a new genetically engineered crop costs around US$100 million at large seed companies. Clearing the regulatory hurdles laid out by the U.S. Department of Agriculture, EPA and/or FDA (depending on the engineered trait) takes between five and seven years and an additional $35 million. Regulation is important and genetically engineered products should be carefully evaluated. But, the expense allows only large corporations with extensive capital to compete in this arena. The price shuts small companies, academic researchers and NGOs out of the equation. To recoup their $135 million investment in crop commercialization, companies develop products to satisfy the biggest markets of seed buyers  growers of corn, soybean, sugar beet and cotton. The costs of research and development are far lower with CRISPR due to its precision and predictability. And early indications suggest that using CRISPR for mutation will not be subject to the same regulatory hurdles and costs in the U.S. A press release on March 28, 2018 by the U.S. Department of Agriculture says that under its biotechnology regulations, USDA does not regulate or have any plans to regulate plants that could otherwise have been developed through traditional breeding techniques if they are developed with approved laboratory procedures. Some organic growers I interviewed agree. I see circumstances under which it could be useful for short-cutting a process that for traditional breeding might take many plant generations, says Tom Willey, an organic farmer emeritus from California. The disruption of natural ecosystems is a major challenge to agriculture, Willey told me, and while the problem cannot be wholly addressed by genome editing, it could lend an opportunity to reach back into genomes of the wild ancestors of crop species to recapture genetic material that has been lost through millennia of breeding for high yields. Breeders have successfully used traditional breeding to reintroduce such diversity, but in the light of the urgency posed by climate change, we might wisely employ CRISPR to accelerate such work, Willey concludes. Bill Tracy, an organic corn breeder and professor at the University of WisconsinMadison, says, Many CRISPR-induced changes that could happen in nature could have benefits to all kinds of farmers. But, the NOSB has already voted on the issue and the rules are unlikely to change without significant pressure. Its a question of what social activity could move the needle on that, Tracy concludes. 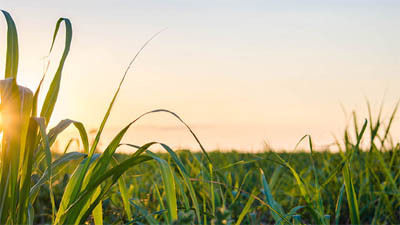 Modern bioenergy will have the biggest growth in renewable resources between 2018 and 2023, underscoring its critical role in building a robust renewable portfolio and ensuring a more secure and sustainable energy system, according to the International Energy Agencys latest market forecast. Renewables will continue their expansion in the next five years, covering 40% of global energy consumption growth, according to the IEAs Renewables 2018 market analysis and forecast report. Their use continues to increase most rapidly in the electricity sector, and will account for almost a third of total world electricity generation in 2023. Because of weaker policy support and additional barriers to deployment, renewables use expands far more slowly in the transport and heat sectors. The focus on bioenergy is part of the IEAs analysis of blind spots of the energy system  issues that are critical to the evolution of the energy sector but that receive less attention than they deserve  such as the impact of air conditioners on electricity demand, or the growing impact of petrochemicals on global oil demand. Assuming strong sustainability measures are in force, the report identifies additional untapped potential for bioenergy to green and diversify energy usage in the industry and transport sectors. China leads global growth in renewable energy as a result of policies to decarbonise all sectors and reduce harmful local air pollution, and becomes the largest consumer of renewable energy, surpassing the European Union by 2023. Of the worlds largest energy consumers, Brazil has the highest share of renewables by far  almost 45% of total final energy consumption in 2023, driven by significant contribution of bioenergy and hydropower. Solar PV capacity is forecast to expand by almost 600 GW  more than all other renewable power technologies combined, or as much as twice Japans total capacity, reaching 1 terawatt (TW) by the end of the forecast period. Despite recent policy changes, China remains the absolute solar PV leader by far, holding almost 40% of global installed PV capacity in 2023. The United States remains the second-largest growth market for solar PV, followed by India, whose capacity quadruples. Wind remains the second-largest contributor to renewable capacity growth, while hydropower remains the largest renewable electricity source by 2023. Similar to last years forecast, wind capacity is expected to expand by 60%. Meanwhile, spurred by technological progress and significant cost reductions, offshore wind capacity triples, with growth moving beyond Europe to Asia and North America. The local council is of the opinion that the idea of the Unconditional Basic Income deserves to be tested. The council also takes into account that 25% of the population in Rheinau voted yes when Switzerland could vote for the UBI in 2016. In addition, the local council strongly believes that the planned experiment will not cause any financial disadvantage for Rheinau and its inhabitants. Therefore the council has decided to encourage the population to participate in the experiment in 2019. A majority of the inhabitants of Rheinau want to test the Unconditional Basic Income with us. We want to carry out this experiment independently from the government or any political party. Thats why we need your help to make the experiment happen in 2019! We need 6.2 million Swiss Francs! Its an enormous amount of money. Why so much? The sum is based on a projection of the required basic income for the 770 participants for one year. Furthermore we want to pay the basic income at the beginning of the month - as it would be the case in reality. Thats the reason why the amount is so high. By the way: The work done by the project team is voluntary and thus not budget-relevant. At the end of the trial well most likely have money left. We plan to make suggestions to all investors, what should happen to that sum. In the end the majority decides where the money will go. The level of basic income is graded by age in our attempt. On our website you will find exact information on who receives how much, and who has to return how much. Important: Half of the inhabitants of Rheinau earn more then 2500 Swiss Francs. they will therefore return their basic income at the end of the month. Who benefits financially from the experiment? These are mainly families, children, adolescents and retired people. The basic income is unconditional in our trial. The participants can do whatever they want with it. Let us find answers as to how we want to live together in the future. Together. By the way: Donations to the project «Village tests Future» are tax-deductible as donations. Whats special about our project? Our focus is on how the Unconditional Basic Income affects an existing community and the people in it. It is a private, voluntary initiative of citizens: from citizens  for citizens. We are designing the project in close collaboration with the local council and the villagers. All scientific findings during the experiment will contribute to the worldwide debate about the Unconditional Basic Income. The project will be recorded in detail by a film team. «Village tests future» is a pioneering project, which we hope will inspire others. 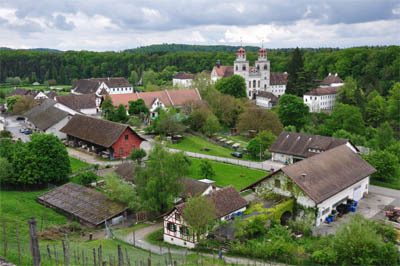 The inhabitants of Rheinau and the team behind the project «Village tests future» are on a pioneering journey. Would you like to come along with us? In this project, everyone can contribute and actively change our reality! Through this project, we are setting a milestone in the worldwide discussion about the basic income. Artificial intelligence can help us to better understand the causes of religious violence and to potentially control it, according to a new Oxford University collaboration. The study is one of the first to be published that uses psychologically realistic AI  as opposed to machine learning. (...) To represent everyday society and how people of different faiths interact in the real world, they created a simulated environment and populated it with hundreds - or thousands (or millions), of the human model agents. The only difference being that these people all have slightly different variables  age, ethnicity etc. The simulated environments themselves have a basic design. Individuals have a space that they exist in, but within this space there is a certain probability that they will interact with environmental hazards, such as natural disasters and disease etc and at some point, each other. The findings revealed that the most common conditions that enable long periods of mutually escalating xenophobic tension occur when social hazards, such as outgroup members who deny the groups core beliefs or sacred values, overwhelm people to the point that they can no longer deal with them. It is only when peoples core belief systems are challenged, or they feel that their commitment to their own beliefs is questioned, that anxiety and agitations occur. However, this anxiety only led to violence in 20% of the scenarios created - all of which were triggered by people from either outside of the group, or within, going against the groups core beliefs and identity. well they serve the mobility needs of their residents. important, as is the satisfaction their users have with them. details global trends in transportation systems. transport authorities, and carriers define priorities and improve their decision making. The Sustainable City is a working model of what the future could look like. It is a modern application of social, economic and environmental sustainability in the built environment achieved through innovative design, stakeholder engagement, and future monitoring to sustain itself. 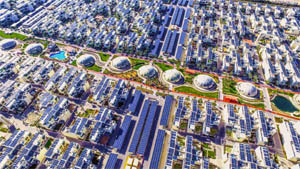 As the first operational Net Zero Energy city in Dubai, The Sustainable City is modelled to become an international showcase for sustainable living, work, education, and recreation. The Sustainable City is a 46 hectare property development in Dubai, United Arab Emirates. 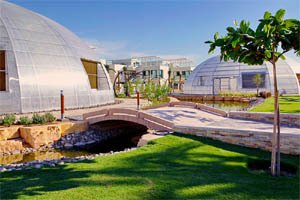 Situated on the Al Qudra road, it is the first net zero energy development in the Emirate of Dubai. The development includes 500 villas, 89 apartments and a mixed use area consisting of offices, retail, healthcare facilities, a nursery and food and beverage outlets. Phase 2 of the development will include a hotel, school and innovation centre. 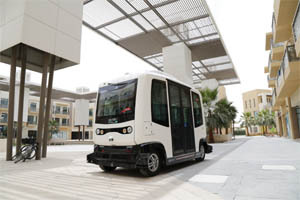 The City was developed by Dubai-based Diamond Developers, whose Chief Executive Officer, Faris Saeed, has stated that much of his inspiration for the development came from UC Davis West Village. 11 natural biodome greenhouses, organic farm and individual garden farms for local food production that use a passive cooling method with fans and pads. Apart from periphery roads and car parking areas, the development is a car-free site. The parking areas are topped by solar shading featuring solar panels that are connected to an electrical grid to supply energy into different sections of the city. Panels are also placed on the roofs of all of the houses. 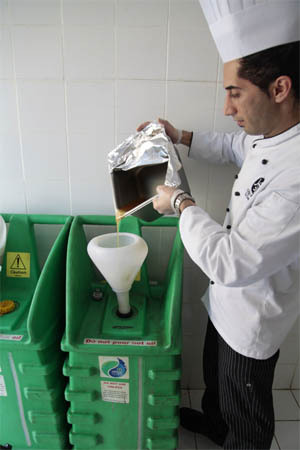 The construction waste is reused to furniture the public spaces. The townhouses have UV reflective paint to reduce the thermal heat gain inside the houses. In Silicon States, renowned futurist and celebrated international think-tank leader Lucie Greene offers an unparalleled look at the players, promises, and potential problems of Big Tech. Through interviews with corporate leaders, influential venture capitalists, scholars, journalists, activists, and more, Greene explores the tension inherent in Silicon Valleys global influence. If these companies can invent a social network, how might they soon transform our political and health-care systems? If they can revolutionize the cell phone, what might they do for space travel, education, or the housing market? As Silicon Valley faces increased scrutiny over its mistreatment of women, cultural shortcomings, and its role in widespread Russian election interference, we are learning where its interests truly lie, and about the great power these companies wield over an unsuspecting citizenry. While the promise of technology is seductive, it is important to understand these corporations possible impacts on our political and socioeconomic institutions. Greene emphasizes that before we hand our future over to a rarefied group of companies, we should examine the world they might build and confront its benefits, prejudices, and inherent flaws. Silicon States pushes us to ask if, ultimately, this is the future we really want. On October 11 the European Cycling Federation hosted an important meeting in Brussels to launch the creation of a new trade association, the CIE or Cycling Industries Europe. This organisation will represent cycling industry makers and other businesses dependent on cycling, at European level to ensure that the needs of the industry in terms of research, innovation and support for new legislation are adequately catered for at the level of the European Union.
" Others are interested in big-data, which looks set to emerge as an important topic in the research agenda. The meeting was a full day affair with high level speakers from the Brussels Government, the European Parliament, the European Commission, the Deputy Mayor of Paris, the Governor of Andalucía and CEOs of various companies from the EU and the USA, including SRAM, the second biggest maker of bike parts in the world. One of the participants was Boréal Bikes a maker of high end connected e-bikes that has created innovative new features such as 'smart grips' whereby the handle bars vibrate to communicate with the rider. Another called Reelight makes battery-free lighting systems for bikes. In Scandinavia it is obligatory for bikes to have lights and for the lights to be used during daylight and this measure has so far had a measurable effect on road-safety for cyclists. Next-bike which has been a member of the ECF, and is a founding member and board member of the new CIE trade association, claims to have created the first dock-less bike-share system, which has been copied by other companies many times since. They have 50,000 bikes deployed in 25 countries and 200 cities. The main message from the public sector was one of encouragement emphasising that EU member states, the European Commission and the European Parliament, would like to see cycling attain equal status with the automobile industry within the EU transport and mobility agenda. Although industry has made a lot of progress improving its environmental footprint, transport however has gotten worse and essentially negating the gains made by industry. Cycling is now seen as essential to delivering on sustainable development goals, cutting CO2 to acceptable levels and helping cities in particular achieve other policy objectives related to better health, better quality of life and the creation of new jobs. The vision for the future is one where cycling and walking, also known as active mobility, must increasingly become an integral part of city transport. Clearly as the flow of bikes increases, this will have to be manged as well as flow of automobiles. In cities such as Copenhagen, where the number of bikes on the street now exceeds the number of automobiles, this is already the case. For those who have not been paying attention, it is interesting to note that cargo bikes are capable of carrying loads of up to 250kg up to 60km in a day. The introduction of e-bikes is expanding bike-use and the consumer base while opening up new business possibilities. According to studies carried out by the ECF and its members such as the ECLF or European Cycle Logistics Federation, up to 50% of city freight traffic could be replaced by bikes, which are more efficient for local delivery than vans.
" Cities are being redesigned to better accommodate bikes and pedestrians with bike-lanes and parking space for bikes, metro and train areas re-designed to accommodate bikes, more pedestrian areas (bike access only) in cities. Already 2,800 cities now take part with initiatives in the annual European mobility week, doing things like organising car-free days or cycle-the-city, cycle-to-work and shop-by-bike campaigns.
" EU level bike-friendly legislation is being passed dealing with issues such as VAT on bikes, de-taxing the cost of bikes, encouraging lending to help people buy bikes in particular e-bikes for work and business, establishing and enforcing the right to carry bikes on trains, safety legislation such as the use of day-lights, bike-beacons and sensors on lorries for detecting bikes in blind-spots.
" Transport policies are being updated to include biking, walking and "active mobility," to be integrated with automobiles, traditional public and private modes of transport, intra- and inter-urban systems, including development of regional, national and pan-EU cycle routes.
" Bike-based businesses are being encouraged for transport, logistics, mobile-shops, tourism. But much more is needed especially in the area of research and innovation. Research is needed on new bike technology and ITS (Integrated Transport Systems) to facilitate multi-modal transport and logistics in the city and integrate with automobile oriented systems. The EC also wants to see this evolve and at the meeting in Brussels, it invited the bike industry to come forward with its own ideas or a bike-related research agenda. The EC, the EP and the member states all support a plan to introduce new transport funding which integrates bikes. They are aiming at €1.5B for bike related research and innovation for the period 2016-2020, increased to €3B for the period 2021-2027 and €6B for 2028-2035, at which stage it will have achieved parity with the automobile sector in terms of participation in mobility related research. Yale School of Architecture: "Radical Cities: Across Latin America in Search of a New Architecture"
What makes the city of the future? How do you heal a divided city? In Radical Cities, Justin McGuirk shares his travels across Latin America in search of the activist architects, maverick politicians and alternative communities answering these questions. From Brazil to Venezuela, and from Mexico to Argentina, McGuirk discovers the people and ideas shaping the way cities are evolving. 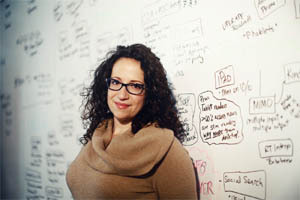 Amy Webb is a quantitative futurist and is an Adjunct Assistant Professor at the New York University Stern School of Business. Professor Webb's research focuses on strategic foresight and using data to model probable, plausible and possible scenarios for the future. She was named to the Thinkers50 Radar list of the 30 management thinkers most likely to shape the future of how organizations are managed and led and won the prestigious 2017 Thinkers50 RADAR Award for her research and work in strategic foresight. 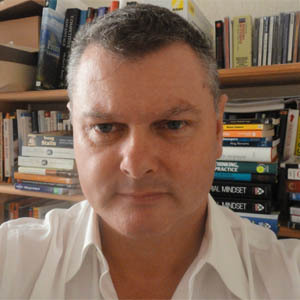 Professor Webb is the author of three books and consults on movie and television shows that are set in the near and far future. Her most recent book, The Signals Are Talking: Why Todays Fringe Is Tomorrows Mainstream, explains how to predict and manage technological change. It was selected as one of Fast Companys Best Books of 2016, was an Amazons best book of December 2016, won the Gold Axiom Award for the best book about technology and was a Washington Post Bestseller. Her bestselling memoir Data, A Love Story (Dutton/ Penguin 2013) is about finding love via algorithms. Her TED talk about Data has been viewed more than 6 million times and has been translated into 32 languages. Data is being adapted as a feature film, which is currently in production. She is a 2017-18 Delegate in the United States-Japan Leadership Program and was a 2014-15 Visiting Nieman Fellow at Harvard University, where her research was commended with a national Sigma Delta Chi award. Webb was also a Delegate on the former U.S.-Russia Bilateral Presidential Commission, where she worked with her Russian counterparts on the future of technology, media and international diplomacy. Every year, she lectures about the future of media and technology at Harvard University as well as a number of universities worldwide, which have included Institut d'études politiques de Paris, Tokyo University and National University of Kyiv. Professor Webb is the founder of the Future Today Institute, a leading strategic foresight and future forecasting firm that researches emerging technology on behalf of Fortune 500 and Global 1000 companies, government agencies and financial institutions around the world. She has advised three-star generals, senior government administrators and executive leadership of the world's largest companies on the future of artificial intelligence. Her future forecasting work has been featured in the New York Times, Harvard Business Review, MIT Sloan Management Review, Wall Street Journal, Fortune, Wired, Fast Company, CNN, NPR and more. 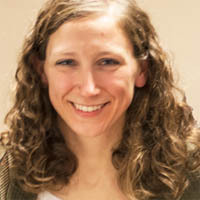 Her research has also been cited in several academic papers. She is the tech columnist and a contributing editor at Inc. Magazine, where she writes about the future of technology and business. She has given hundreds of keynotes and invited talks at international forums, which have included the World Economic Forum's Industry Strategy Meeting, South By Southwest, and the National Academies of Science. Professor Webb's areas of expertise include Strategic Foresight and Artificial Intelligence. Strategic Foresight entails researching weak signals identification, pattern recognition, emerging tech trends, and scenario mapping. Her work on Artificial Intelligence involves researching generative algorithms, conversational agents, commercial applications, regulatory & compliance issues, bias, and future of ethics. Professor Webb teaches MBA students how to use the tools of futurists for strategic foresight, weak signal observation, emerging trend identification and scenario planning.